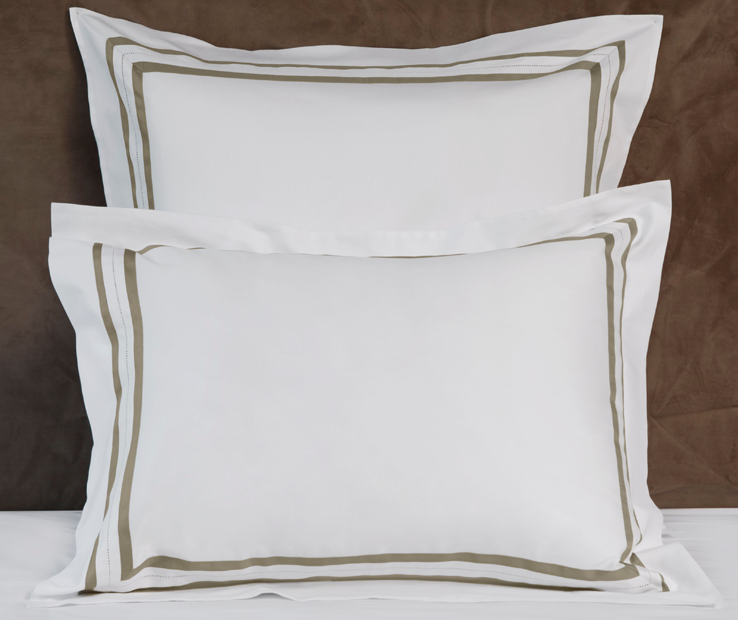 "Simplicity is the only beauty that never fades": the Stresa sham best represents this concept - a simple product of great elegance, a timeless beauty that can furnish classic and contemporary settings with great ease. The central hemstitch and the play of the colors of the borders make the collection extremely refined. Made with the sublime Signoria Egyptian combed cotton 300 t.c. sateen, the Stresa shams have 2 inch flanges. 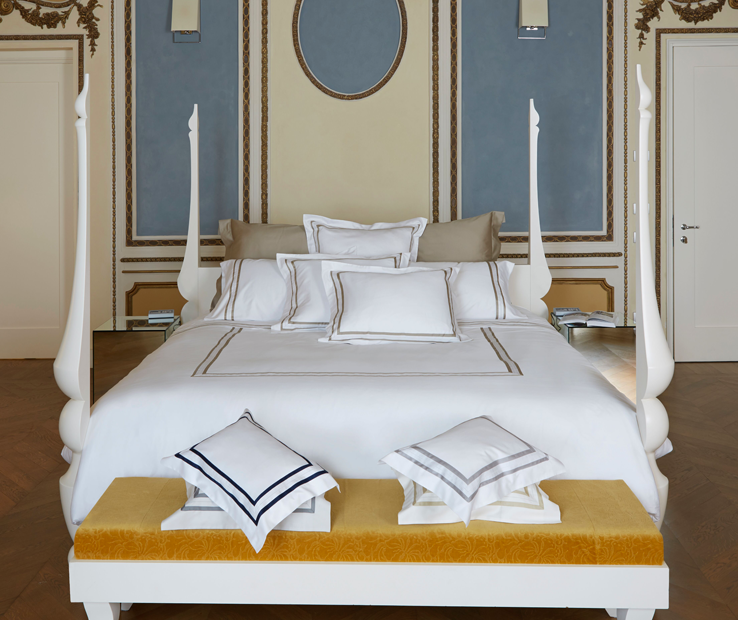 "Simplicity is the only beauty that never fades": the Stresa sham best represents this concept - a simple product of great elegance, a timeless beauty that can furnish classic and contemporary settings with great ease. The central hemstitch and the play of the colors of the borders make the collection extremely refined. Made with the sublime Signoria Egyptian combed cotton 300 t.c. sateen, the Stresa shams have 2 inch flanges. Available in Standard, Euro and King sizes. Made in Italy. 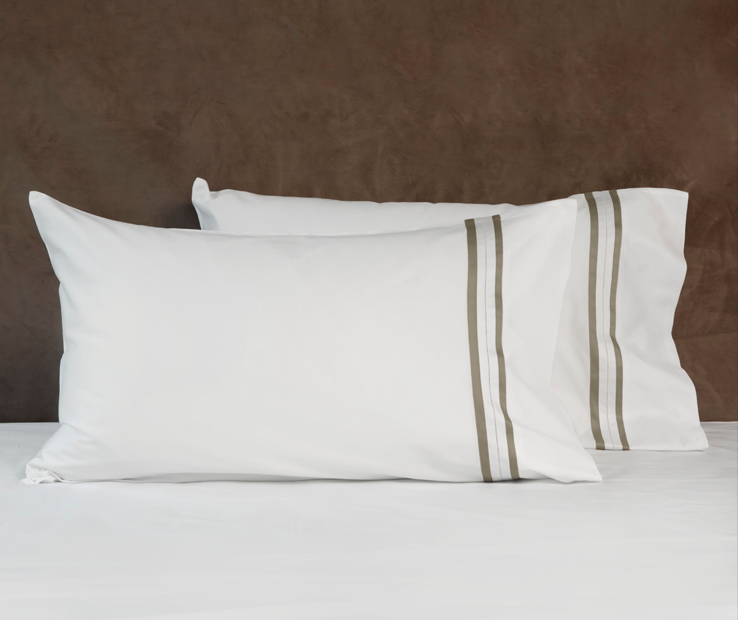 "Simplicity is the only beauty that never fades": the Stresa pillowcases best represent this concept - a simple product of great elegance, a timeless beauty that can furnish classic and contemporary settings with great ease. The central hemstitch and the play of the colors of the borders make the collection extremely refined. Made with the sublime Signoria Egyptian combed cotton 300 t.c. sateen. The set includes two pillowcases. Available in Standard and King sizes. Made in Italy. 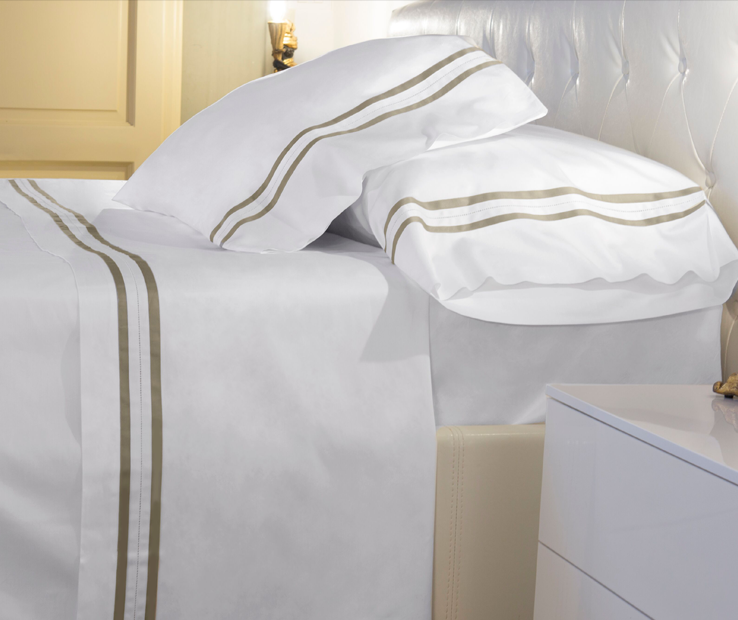 Simplicity is the only beauty that never fades": the Stresa duvet cover best represents this concept - a simple product of great elegance, a timeless beauty that can furnish classic and contemporary settings with great ease. The central hemstitch and the play of the colors of the borders make the collection extremely refined. Available in Twin, Queen and King sizes. Buttons closure. Made in Italy. 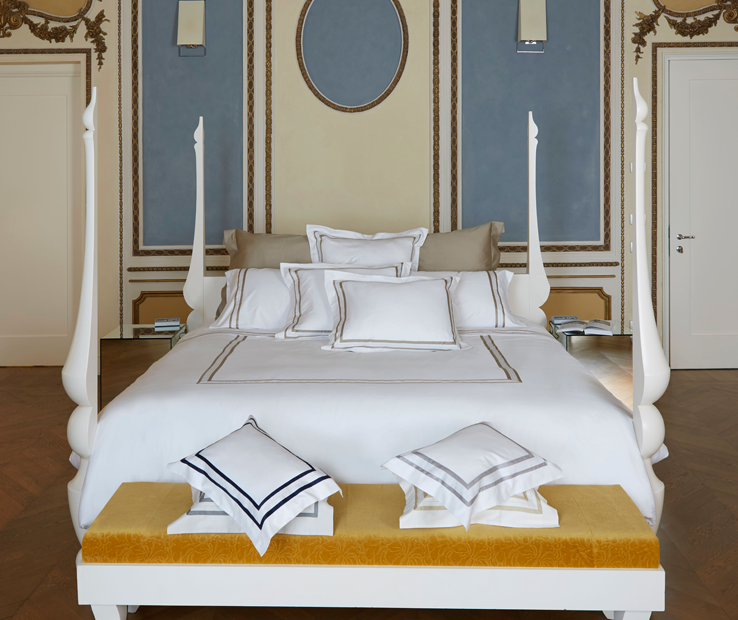 "Simplicity is the only beauty that never fades": the Stresa flat sheet best represents this concept - a simple product of great elegance, a timeless beauty that can furnish classic and contemporary settings with great ease. The central hemstitch and the play of the colors of the borders make the collection extremely refined. Made with the sublime Signoria Egyptian combed cotton 300 t.c. sateen. Available in Twin, Queen and King sizes. Made in Italy.